We offer several birthday party packages that can be customized to meet your needs. All packages include private use of our 3,000+ sq ft facility which includes a comfortable lounge with a self-serve coffee bar, playroom for the kids, fully equipped kitchen and dining space that accommodates up to 72 people. 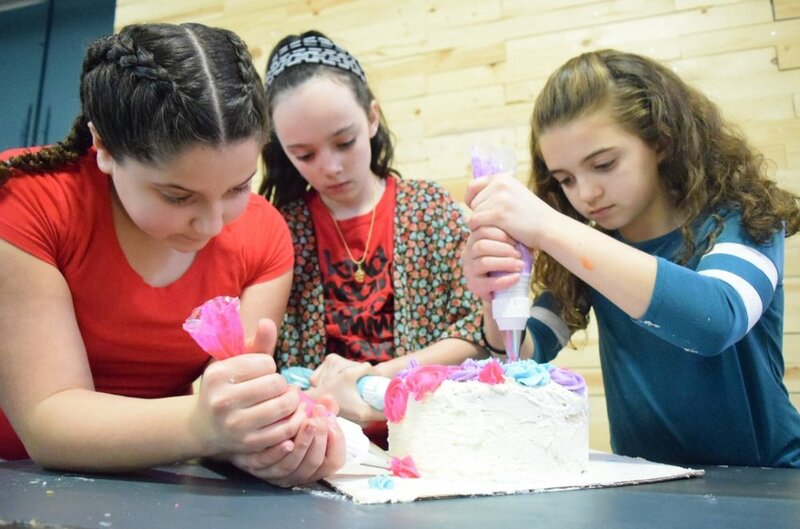 We provide a party coordinator who will take care of all the details, including set up and clean up, so you can relax and enjoy your child's birthday. Your child gets to choose between cookie or cupcake decorating. Each child receives either 6 cupcakes or 6 cookies to decorate at the party. Birthday chef and guests will all help in the making and dying of the buttercream frosting. Each guest then gets to decorate their cupcakes by using piping bags and various colored sprinkles. Party includes 2 cheese pizzas and water/lemonade for all children. Your child and their guests get to help dye vanilla batter the colors of the rainbow. Each guest then gets to fill, bake, and decorate their own 6 personalized rainbow/tie-dye/galaxy cupcakes. Birthday chef and guests will all help in the making of the buttercream frosting. Kids will then get to use piping bags and various colored sprinkles to decorate their cupcakes. Party includes 2 cheese pizzas and water/lemonade for all children. 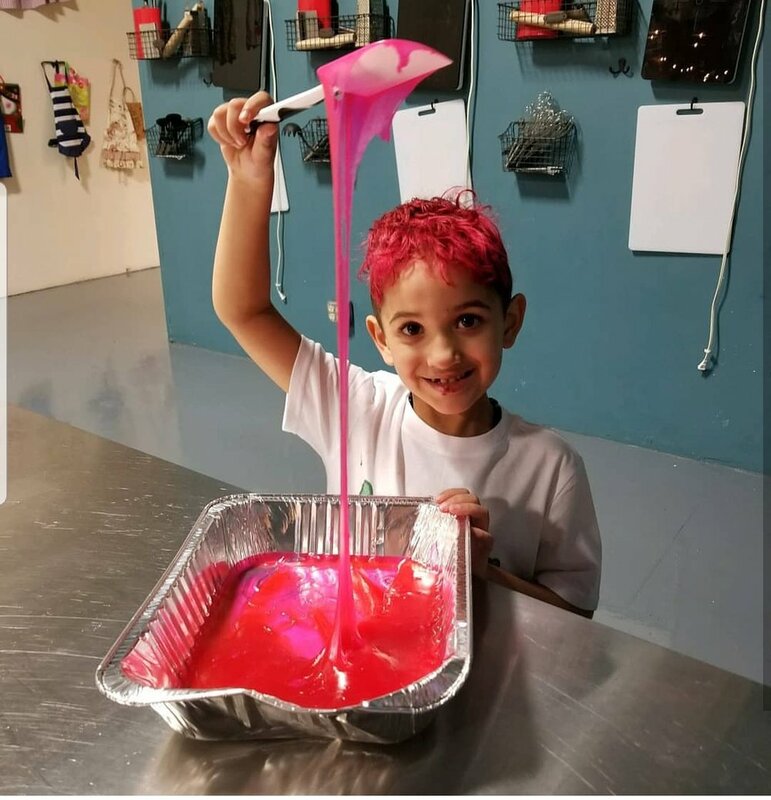 Each child will make taffy and gummy bear slime, while learning the science behind each edible slime. Party includes 2 cheese pizzas and water/lemonade for all children. Your child chooses which meal they would like to create and we customize a cooking or baking class for the birthday chef and their guests. 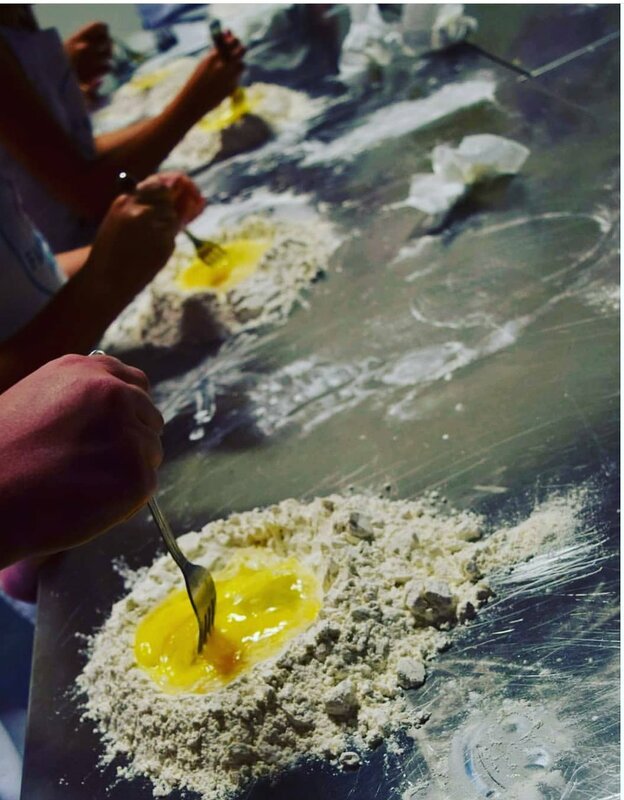 Some menu options include; flat bread pizzas, a taco bar, cupcake workshop, and pasta making classes. If your child chooses to bake during their class, 2 cheese pizzas will also be served. If your child chooses to cook, the kids will eat the meal they created and an ice cream bar will be provided. Water/lemonade is provided. Your child gets to choose between chocolate or vanilla cake pops in this fun birthday package. Each child receives 6 cake pops that they roll, dip, and decorate at the party. Birthday chef and guests will all help in the making of the buttercream frosting that is mixed with the cake pops. Party includes 2 cheese pizzas and water/lemonade for all children. Your child and their guests get to mix and bake their very own 2-tiered cakes. They will then make/dye buttercream frosting that they will pipe on using piping bags. Fun sprinkles are provided to finish their masterpiece. Party package includes cheese pizza and water/lemonade. 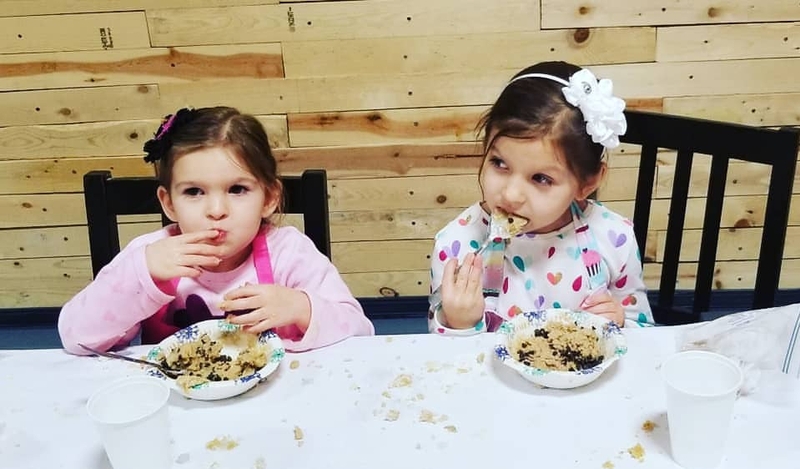 Your child and their guests get to make their very own batch of edible sugar cookie dough and edible chocolate chip cookie dough. Party includes 2 cheese pizzas and water/lemonade for all children. Your child gets to pick 2 different flavors and colors to make with their guests during this fun, bubble gum popping party. Price includes 2 cheese pizzas and water/lemonade for all children.